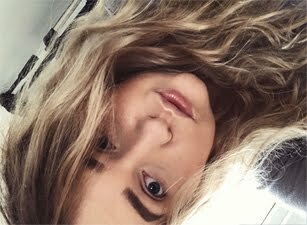 I love volume and lengthening mascara, well who doesn't? My lashes are very light, so you can't really see them until I put on mascara. They are pretty straight, so I need to curl them before actually doing anything to them. On daily basic I always tend to use two mascaras at the same time, normally one with smaller brush to keep the lashes separated. 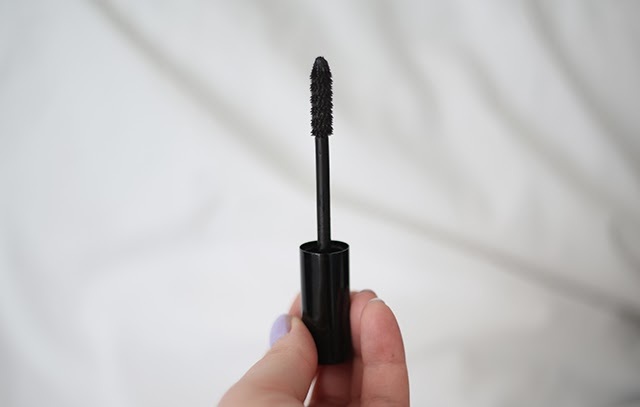 Chanel Le Volume De Chanel Mascara is one of my favorite mascaras, I just love how much length it adds to my short lashes, as well as volume once you apply second layer. On the photo above I am only wearing one layer and the effect is just amazing! 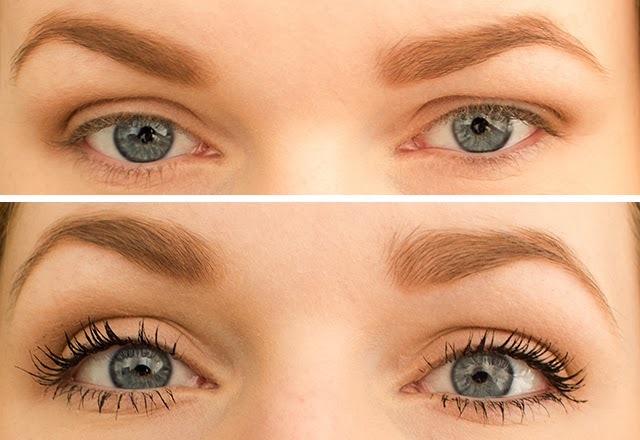 The mascara doesn't clump the lashes together, the formula is slightly wet, but it's easy to apply. I tend to apply around 3 layers. I am currently on my second tube, I don't really tend to repurchase high end mascara, unless they give me an amazing effect! So this must show how much I love it. I like to use Le Volume Mascara together with L'Oreal Telescopic Mascara. Wish there was a waterproof version, as when it's gets warmer my lashes tend to smudge on my eye lids, not a good look, other than that it doesn't normally smudge. The brush is plastic, the bristles are really short, but they do wonders to the lashes I have no idea how that happens, but I am not going to complain. I also like the sleek packaging. Check out my blog tomorrow, as you may have a chance to win this lovely mascara. Hopefully you will love it as much as I do. Have any of you had a chance to to already try out this mascara? I've never tried anything from Chanel but I'm currently using a mini Smashbox mascara which I'm loving at the moment. Love the look of the brush on this mascara. This mascara is amazing, I have to say I'm not one for a high end mascara as I find Max Factor to make brilliant ones which I can buy in Boots however having tried a sample of this I must admit that it is love.